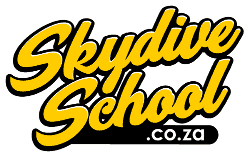 Over the years Skydive Robertson has been sponsored by the amazing organisations below. We highly recommend each one of them and are proud to be associated with them. Our CAA approved aircraft maintenance facility is capable of all inspection requirements from 50 hour routine inspections to Mandatory Periodic Inspections (MPIs) to Supplemental Inspection Documents (SIDs). Based at the picturesque Robertson Airport in Western Cape we have full SA CAA Part 145 approval. We are licensed to maintain and repair a variety of aircraft inclusive of twin and single engine turbine and most GA type piston engine aircraft including “lap and pap” classic and vintage aircraft. We also have capabilities for NTC types and will build your experimental aircraft of choice. Our showrooms exhibit the exclusive collections of Tom Dixon, Lee Broom, Vitra, Moooi, Magis, Foscarini, Diesel with Foscarini, HAY, Gubi, OFFECCT, Nanimarquina, Extremis, Cherner, STUA, Brokis, Muuto and &Tradition. This current design portfolio promotes original signature designs, alongside exciting, contemporary pieces. In December 2013, Zelda la Grange, late former President Nelson Mandela’s trusted assistant, presented philanthropist and ‘Arts Angel’, Carolyn Steyn, with a challenge: knit, sew or crochet 67 blankets! These blankets would then be distributed to those in need on Mandela Day. Mandela Day is an annual international day in honor of Nelson Mandela, celebrated each year on the 18th July, Mandela’s birthday. The day was officially declared by the United Nations in 2009. Carolyn gladly accepted Zelda’s challenge but soon realised that she wouldn’t be able to achieve it alone. She called on her friends for help and developed a Facebook group called “67 Blankets for Nelson Mandela Day”. In just days, hundreds of people from around the world had pledged to knit a blanket for Nelson Mandela Day. Since then, 67 Blankets for Nelson Mandela Day has transformed into what some are calling a “movement” – a movement that has captured the attention of many South African and international celebrities as well as corporates and “KnitWits for Madiba” in Australia, Belgium, Canada, Germany, Cyprus, London, the US and India. Set in a low-slung Victorian farmhouse with views of the Langeberg Mountains, this relaxed hostel with an annexe is 11 km from Rietvallei Wine Estate and 2 km from Robertson Art Gallery. Featuring wood floors and colourful accents, the 2 private rooms and 1 dorm share bathrooms; the dorm has bunk beds. The annexe offers 2 airy rooms with tile floors and en suite facilities. All units have free Wi-Fi. Complimentary coffee and tea are provided, as are passes for tastings at area wineries. Other amenities include a garden with a BBQ area, and a Moroccan-themed lounge with hookahs, a bar and a fireplace. There’s also a guest kitchen and a TV room.